The business listed here are friends of Surf, Play & Stay Rincon. We share reciprocal web links and have a common interest in surfing. Please visit their site and explore the opportunities. One of the finest names in the surfing industry! IT ALL BEGAN WITH A SURFBOARD... Today, Ron Jon Surf Shop has grown into a world-famous destination with locations in New Jersey, Florida, South Carolina, online and licensed partnerships. Visited by surf and beach lovers from around the globe, Ron Jon Surf Shop is recognized world-wide as an icon of the surf and beach lifestyle. Surfing in Texas provides surf news, stand up paddle (SUP), pictures, information on surf schools, live surf cameras, surf films, and where to find surf in Texas. We cover the weather and surf in South Padre Island, Port Aransas, Corpus Christi, Galveston, Matagorda, and Surfside Texas. Whether your trying to learn how to surf, or are looking for surf reports to find the best swell and Texas surf, Surfing in Texas has all of the information on the Texas Gulf and it’s surf. We’ll see you out in the water, and remember to keep our Texas Beaches clean (please join Surfrider and participate in local chapter meetings)! Costa Rica Surf Travel Company - CRsurf.com was created in 1999 to help surfers in Costa Rica find the best place to surf, to help travelers from around the world plan their first trip or their twenty first, and to keep them informed of news and upcoming events. They also support the local surf community, donating to local schools, lifeguard programs, environmental groups, and sponsoring kids who surf contests. A fantastic surf shop in Newport, RI. Take a look at all of their cool stuff and the awesome WAX BUDDY! A lot of my time is spent in Costa Rica, Panama and the Caribbean. I generally spend time on the breaks of Playa Langosta and south of Witch's rock surf club in the Tamarindo Estuary. Weekends we try to visit Avellanas (my favorite beach), Marbella or Playa Grande. Past surfing advertures include Bondi Beach, Surfer's Paradise (Aussi), La Jolla, Malibu, Hermosa Beach, Manhattan Beach, Huntington Beach, Chicama, Baranca, Playa Venao, Pedasi, Santa Catalina, Cambutal, San Bartolo, Manuel Antonio, Vancouver Island and Ventura. And of course...Ollie's Point and Witch's Rock!!! We Offer Top Quality Products and "Best In Class" Service. 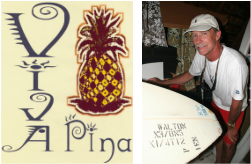 You can now order any Global Surf Industries Surfboard or Stand-Up Paddle board through East Coast Surf Products - Choose from Walden, Mctavish, 7S, NSP, Blue, Meyerhoffer, Modern, Aloha, Webber and the New Sea Glass Project from Tom Wegner. Surf Camps and Surf Schools in Portugal, Canary Islands, Central and South America with top accommodation in surf houses or private apartments. Beginner courses, surf clinics and Surfaris for advance surfers. The best surf tuition by certified instructors, at the best locations, with top accommodation in surf houses and private apartments, having lots of fun and for the best prices. Visit us now for more information. SurfGuru.com has provided daily Florida surf reports, surf forecasts, tide charts and surfing related information for the surfers of the East Coast of Central Florida since 1996. During these years SurfGuru has worked to improve our surfcams to be the best Florida surf cams on the Internet! With the incorporation of a Flash stream intro, the daily audio Florida surf report (like the Cocoa Beach surf report), a standard surf report (like the Second Light Surf Report), and traditional banner ads, SurfGuru is the place to get your message out to the local surfing community! SurfGuru covers all areas of advertising, marketing, and web presence! Plus more importantly, SurfGuru supplies FREE accurate and current Florida surf reports and surf information to over 20,000+ SurfGuru members. We've got your customers covered with a Cocoa Beach Surf Report & Surf Cam all the way to a Sebastian Inlet Surf Report & Surf Cam! Welcome to the Jah-Shaka Surf Project in Lagos, Portugal! We are a team of surfers dedicated to finding the best surf experience and sharing it with you. We offer everything you’ll need for the perfect surfing & adventure vacation! We have a fully loaded Surf Shop full of all the best equipment and clothing. We offer surf lessons and trips to all the awesome surf spots in bountiful region of the Algarve and equipment rental service with high quality hardware and accessories. A massive range of additional adventure activities are available that will rock your world! Now Available, beautiful accommodation in our brand new Surf Villa with fully furnished rooms, a large pool, BBQ evenings and transfers to the best beaches! Weekly Surf & Stay packages starting at €340! Gumby Lock "Protect your Stick"
Going on a surf trip with your mates? Worried about your boards on top of your vehicle when you stop for a bite to eat? You can't surf if someone pinches your board can you? A Gumby Lock secures your board to a roof rack, car boot, bike, shop display rack, garage rack or just about anything, even a sign post. VIVAPINA - Surround Yourself with Quality in What You Do, How You Live and What You Experience. Glenn Walton creates handmade surfboards that are exquisite! Surfing, Stand Up Paddle and body boarding in Khao Lak, Thailand. Pakarang Surf Shop gives surfing lessons, rent and sell surfboards, stand up paddleboards and body boards. Located in Khao Lak, Thailand, just one hour north of Phuket. Take a look around and tell us what you think. Enjoy! The best way to get into the world of surfing is through personalized private surf instruction. You will receive one on one instruction on the beach and in the water, ensuring your safety and for optimum learning curve. If you are planning for a one of a lifetime surf trip, learn and spend guided trips with our local pros! We are a Surf and Eco Tour Company that offers travel services for Seniors, Families and Surfers interested in exploring this beautiful place in Central America. Quiver El Salvador promotes a more environmentally conscious way of living and offers a wide range of environmentally-friendly activities. We believe that living a healthy lifestyle means to get outside, enjoy nature, and respect the Earth ... especially our beautiful oceans! In a world where everything changes so fast, we need to remember where we come from and preserve our culture and beautiful landscape. We hope you come explore El Salvador! 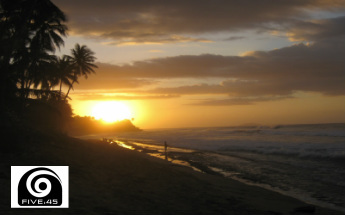 Playa Grande Vacation Rentals are a great value for your vacation in Costa Rica. A Playa Grande rental is great option for a romantic getaway for two or to host a group of friends or family. Playa Grande rentals are located within walking distance of Playa Grande, home of the Las Baulas National Park and also the world famous surfing beach. Most Playa Grande Vacation Rentals feature a full kitchen, so you can cook meals at home after a nice day at the beach. Units are rented turn key, so you have sheets, towels, fully equipped kitchens, etc. Most properties have wireless internet connections. Witch’s Rock Surf Camp, Tamarindo, Costa Rica It is our mission to provide you with an amazing surfing vacation experience. As a lifelong surfer, I traveled the world searching for the ideal surfing refuge, and I found it right here in Tamarindo! A beautiful beach with consistent waves, multiple surf breaks for surfers of all levels, all directly in front of Witch’s Rock Surf Camp. We are a Surf Company based out of Long Island, NY. With salt water running through our veins, and a passion for life. Our motto here at Five:45 is "Seize The Day"So rise and shine...hit the waves. Give thanks and feel good! We are stoked to share our love for the ocean with you. Windfinder.com If you need to know which way the wind will blow and at what speed, then this is the site for you.